Art in the Park banners go up on 9th! Art in the Park is only 5 weeks away! 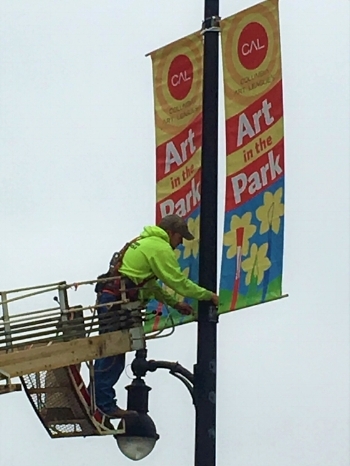 This week the Art in the Park banners went up on 9th Street. Thanks to The District for making that happen! Newer PostCAL Members' Annual Meeting - Coming up on December 14th!